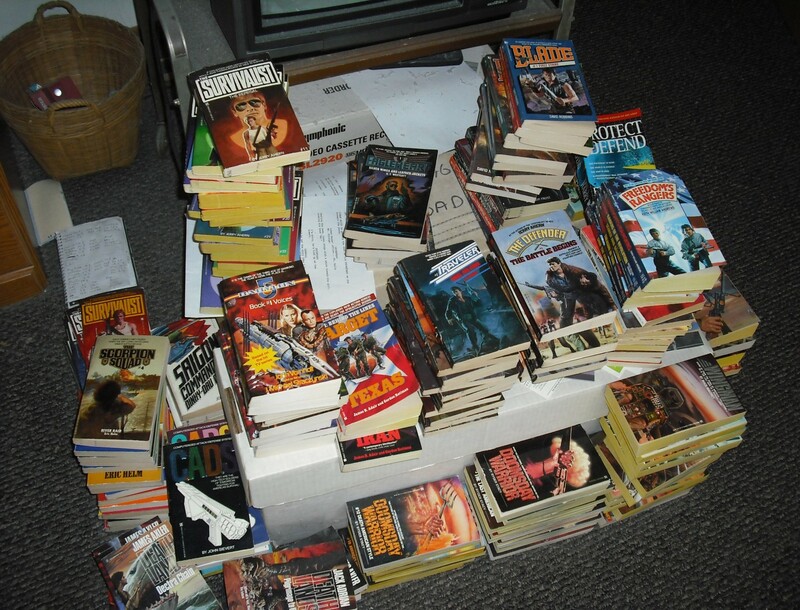 The Mucker – THE BOOKS THAT TIME FORGOT. A thief breaks into the home of Jonas Prim the president of the Oakdale bank and cleans out the safe of money and jewelry. He then goes out and meets a group of hobos. The hobos with such names as Dopey Charlie, Soup Face, Dirty Eddie and the Sky Pilot. This bunch is a tough lot and the boy tries to get into their good graces by calling himself the Oskaloosa kid and showing his stolen loot. This was not a good idea as the hobos try to murder him for the money. The kid flees and runs into Bridge the poetic tramp that was the Muckers companion in the last book. Bridge has to save him from the hobos plus a private detective and a lynch mob. The man the kid stole from has his daughter Abigail missing and another man murdered. Throw in a traveling gypsy and her trained bear and you have one adventurous night. The ending come with a whole pile of coincidences and one revelation that was totally out there. This book is a hard one to write a short coherent review. It is short but the story is written as all plot and action. There is almost no description or character thought so it takes a while for the reader to figure out what is going on. It is an interesting story that I think any fan of Burroughs will enjoy. The ending was a complete surprise that I never saw coming. The second book finds Billy Byrne back in Chicago hoping to start a new life. Unfortunately his old life comes back to haunt him. An old acquaintance turns him in to the police for he is still wanted for murder and quickly arrested. He escapes and goes on the run. He meets a hobo named Bridge who sprouts poetry. The two head off down to Mexico. Mexico during this time is in the midst of a civil war. Gringos are not popular but Byrne fall in with a rebel general bandit named Pesita. Bridge goes to work on an American owned ranch that is owned by Barbara’s father. Barbara is down there with him after breaking off her engagement. Eventually she gets kidnapped and Byrne has to rescue her. The two then work out their differences and end up happily married. 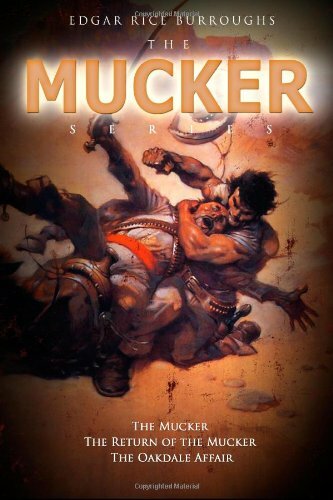 The sequel to the first Mucker book is not that good as the first. It does tie up the loose end of Byrne’s and Barbara’s romance so it is crucial for the whole Mucker story arc. Billy Byrne is a product of the slums of Chicago. He has made his way in life though various petty crimes and larceny. One day he is unjustly framed for a murder he didn’t commit and flees to San Francisco. There he is drugged and shanghaied on the ship the Halfmoon.The ship is on a mission to kidnap the daughter of a wealthy businessman for ransom. Billy beats up the daughter Barbara’s suitor Billy Mallory in a brutal manner. He expects that Barbara will cower in fear but she confronts him and calls him a coward. Now Byrne has always prided himself on his brutality as a sign of strength. He now starts to question his beliefs. Slowly he decides to change and also falls in love with Barbara. A storm shipwrecks the ship on an island inhabited by descends of medieval Japanese samurai who have intermarried with the local headhunters. The tribe forms a hybrid of the two cultures. Byrne and the survivors have adventures among the inhabitants and he starts to exhibit more noble qualities. Barbara comes to love him and Byrne seems to sacrifice himself to rescue her fiancé. Barbara and the others are rescued and leave Byrne thinking that he is dead. Months later Billy is rescued and finds his way back to Chicago. He cleans his act up and becomes a boxer with serious potential. He reads that Barbara is engaged to Mallory and goes to New York. Barbara is willing to break off the engagement for him but Billy decides he could never fit in her world and encourages her to marry Mallory. This is one of Burrough’s books that are held in high esteem by fans. I can see why. It has pirates and savage, mysterious civilizations on a strange island. The main feature of this book is the protagonist Billy Byrne. He is not the usually well bred and educated man that are the staple of Burrough’s stories. He is an uneducated thug that speaks with heavy slang. He will hit a person while he isn’t looking and kick him while he’s down. He grows to eventually see that life can offer more and falls in love. There was a lot of character development in this story which is something is usually lacking in Burrough’s books.